New York Pitch Editors Are Looking For Serious and Light Women's Fiction, Mystery/Crime, Thrillers, Adult and YA SF/F, Suspense, Historical, Memoir, Narrative Non-Fiction, General and Upmarket Literary Novels. The notes below pertain to a fraction of the total success stories that have taken place as a result of the New York Pitch Conference. Our criteria for inclusion mandates that we receive first hand knowledge via the author. The conference itself is held four times a year and features publishing house editors from major houses such as Penguin, Random House, St. Martins, Harper Collins, Tor and Del Rey, Kensington Books and many more who are looking for new novels in a variety of genres, as well as narrative non-fiction. 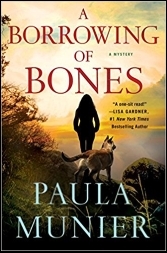 A BORROWING OF BONES by Paula Munier, NYC senior faculty member and literary agent par excellence, will be out from Minotaur books in September. Lee Child calls it, "A compelling mix of hard edges and easy charm..." Paula is also the author of the bestselling PLOT PERFECT, THE WRITER'S GUIDE TO BEGINNINGS, WRITTING WITH QUIET HANDS, and FIXING FREDDIE: A True Story of a Boy, a Mom, and a Very, Very Bad Beagle. TELL ME LIES by Carola Lovering has been published by Simon & Schuster (Atria Books). 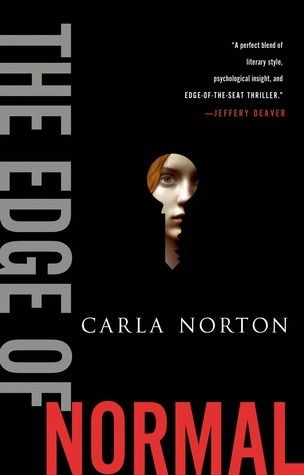 Carola owes a significant portion of "getting over the top" to the NY Pitch, not to mention the fact that editor interest gave her needed "query leverage when querying agents at several top agencies" including Janklow & Nesbit, who later provided her with great representation. Carola Lovering comments. J. P. Gownder's novel, THE TWILIGHT OF INVENTION, is now represented by Mark Gottlieb of Trident Media, thanks to the New York Pitch workshop that provided him with everything from a new title to helpful plotting advice. J.P. found one of the top agents in the business after sending out only eight query letters. More details from J.P. himself on the alum comment page. Robin Stuart's techno-thriller, "Kill Signal," signed by Talcott Notch Agency--represented at the New York Pitch event by agent Paula Munier. The ms is now undergoing edits with Algonkian staff. Congrats to Robin. This thriller is going to be a bestseller, we're certain! We love you Robin!!! 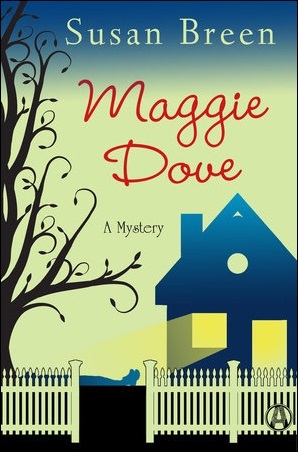 The NYPC's role model author, Susan Breen, now has a new novel out from PR, "Maggie Dove." Maggie Dove thinks everyone in her small Westchester County community knows everyone else's secrets. Then murder comes to town! Congrats Susan, good luck to your new series, and thank you for helping so many other writers at the NYC Pitch find publication! Part of a two-book deal with Dana Isaacson at Alibi, an imprint of Random House, by NYC agent faculty Paula Munier at Talcott Notch agency. Roger Johns, an alumnus of the New York Pitch Conference, wrote and told us: "Just wanted to let you know that Paula Munier, my group leader from the conference, took me on as a client and negotiated a deal for my book - DARK RIVER - with St. Martins. Announced tonight on Publishers Marketplace. Thanks for a wonderful experience. The conference was superb. I'm spreading the word among my critique groups in Atlanta." New York Pitch faculty member Paula Munier and NY Pitch Director Michael Neff have begun a new and innovative editorial service known as Manuscripts to Market - The Novel Editors, and it is designed to give writers the best chance possible at having their novel manuscripts taken seriously by professionals in the business. More information here. At last count, an estimated 31 total manuscripts are currently in the process of being reviewed by publishing house editors. More than 59% of total ms presented and discussed at length at our last events were requested, and 76% of all ms requested were requested by more than one editor. This high percentage is a result of intelligent project screening, great projects, attentive editors, and liberal applications of superb pitch craft. 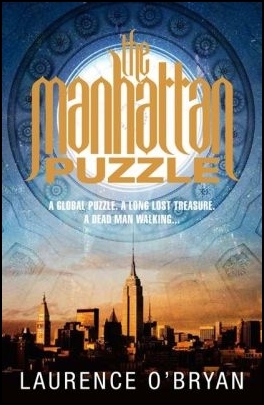 NYC pitch workshop leader and conference director, Michael Neff, worked with NYC faculty editor Brendan Deneen from Macmillan to develop a new fantasy novel known as MAGICIANS IMPOSSIBLE. 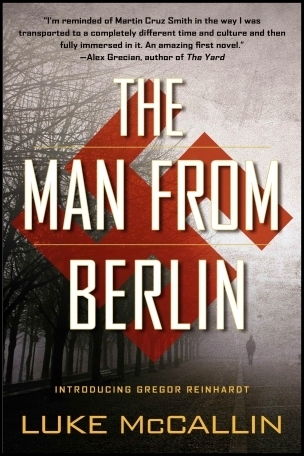 The book will be published by Macmillan in 2017 and Fox Studios has signed a contract for a new television series based on the novel. The Pitch Conference helped me constructively in channeling the information into a focused pitch, which I used successfully, and as a consequence, my novel, JERUSALEM MAIDEN, was published by HarperCollins! 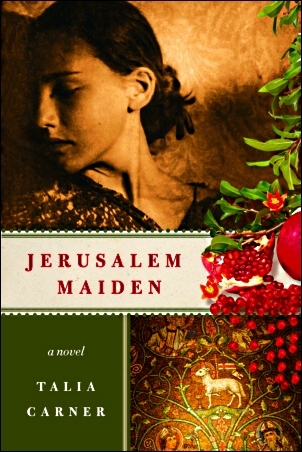 JERUSALEM MAIDEN is now in its sixth printing. 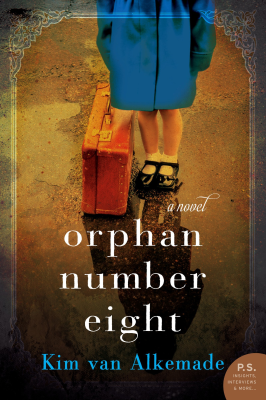 Talia Carner was able to effectively launch this novel after working both her story and pitch with publishing professionals at the New York Pitch. 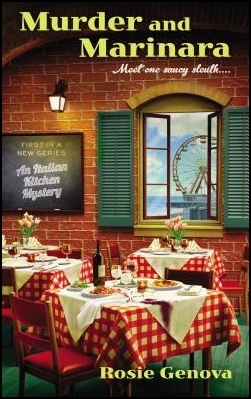 As a bonus, HarperCollins Publishers has just bought her new novel, HOTEL MOSCOW, to be released in summer 2015! 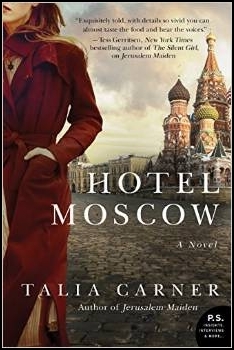 Set in Moscow in 1993 during the uprising of the Russian parliament against Yeltsin, HOTEL MOSCOW is both the story of the valiant Russian women going through transition after the fall of Communism." 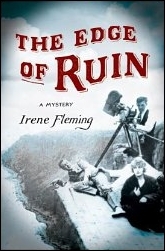 "My novel was requested by four of the five editors I pitched. 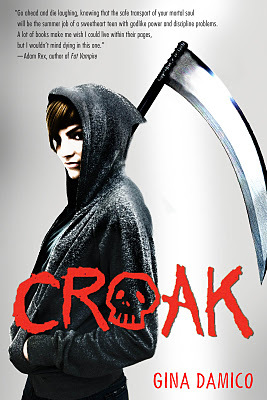 Tessa Woodward at Harper Collins quickly made an offer for it. 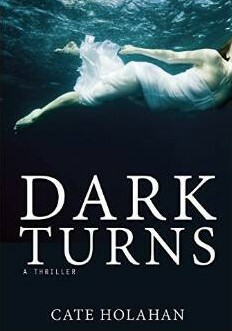 After getting Tessa's notes, I am now working on a significant re-write that will expand and improve my novel more than I ever could have on my own." Michael Neff found Kim an agent 24 hours later after being alerted by her workshop leader, Susan Breen. I must confess that it surprised me when folks at the New York Pitch Conference fastened on Thomas Edison's dark side as the most interesting aspect of the novel ... Once you define the book as being about the struggle between the Weisses and Thomas Edison's Motion Picture Patent Company, however, a lot of diffuse stuff falls into line. Then I came home from the recent Algonkian conference at Harpers Ferry, reread the manuscript, and realized I had thrown away a great opportunity in the second-to-the-last chapter to resolve the Edison/Weiss conflict in a meaty and dramatic way. In a word, it was lame. I met with an editor from Plume, pitched the idea and she liked it and after several weeks, and rounds of discussion and so forth, she made an offer. 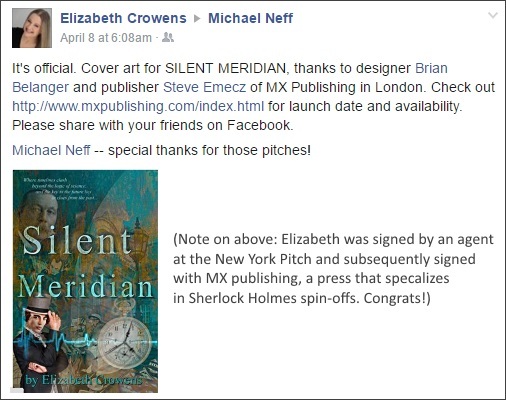 Meantime, Michael Neff helped to set me up with my agent, who is a lovely person at Trident Media. So I can honestly say that going to that conference changed my life. Everything turned out so much better than I had dreamed. I did sell my novel--not right at that moment, because there is a process. But I did sell it because I went to Algonkian's New York Pitch Conference. You may remember me participating then: I was in Charles' group - the cloak and dagger brigade - and my pitch was about a mystery set in WWII Sarajevo. I made a couple of successful pitches, one of them to Tom Colgan at Penguin, and I thought you'd like to know that I've since been offered a two-book deal with them. 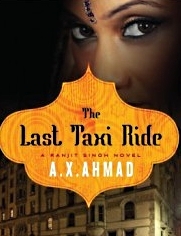 The first book should be coming out in June next year. I thought it important to write to you because, without the opportunity afforded by the conference, I wouldn't have made the contacts I did. I'm writing to say a long-overdue thank you! Now that I'm getting into the more tangible aspects - copyediting, cover designs, etc. - it's feeling more and more that this is real and it's actually happening, and really, I have you and your workshop to thank for getting the whole ball rolling ... And even now, all this time later, I'm still using the pitch that I wrote and worked on that weekend - a large portion of the cover copy is based on it. At the conference we read sections of classics and contemporary works demonstrating craft concepts, we wrote vigorously, brainstormed and critiqued sections of our works in progress, meditated, had readings, and got one on one editorial attention. Many of the connections I made at the conference remain with me to this day. Whether you've just completed a first draft of a novel or a tenth draft, the Algonkian Novel Workshop could be just the step you need to take your writing public. Rather than treating the writing and selling of fiction as two unrelated functions, Algonkian regards them as intrinsically linked. The workshops and reviews took blinders off and made me see, for instance, that the pitch is not an artificial construct to be reluctantly imposed upon your polished manuscript. It is instead a tool, with heft, that you must wield from the start. The writing business has no guarantees, but Algonkian conferences are uniquely suited to crafting work that can persuade a cynical agent to say the sweetest of words: "Yes!" Michael! Did you get my news about being signed by Simon and Schuster? I followed the advice and, voila, I sold the rewritten novel! Thank you, thank you for the miracle! I couldn't have done it without you and editor Ginger Buchannan, I swear!" 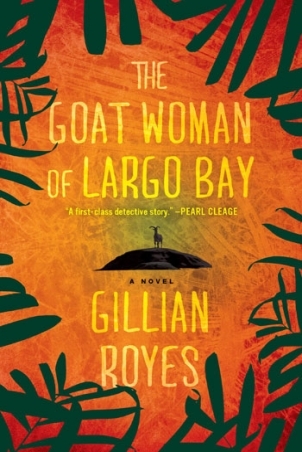 First write a good book; if you're not sure about that, attend an Algonkian Novel Workshop. 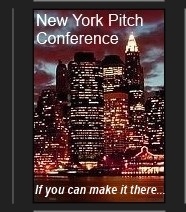 But if you do attend the New York Pitch Conference, be prepared for the fallout. I walked away with such a successful pitch, but realized I had to rewrite my book to make sure I delivered what I sold the editors. With workshop leader Susan Breen's help, I have three publishing house editors who want read my manuscript. Wanna write a successful query to an agent? Put that in your first paragraph! I attended Algonkian conferences in NYC and San Francisco in 2009 and 2010. They were among the best experiences in my writing life. I met some of the most powerful people in the publishing industry, both major publishers and agents ... I was offered a publishing contract by Harper Collins UK soon after my last visit to an Algonkian conference. I am now translated into 10 languages. Two of the four editors I met with asked to see my work and the other two were very interested ... I credit the reception of all four editors to the pitch. It generated questions which helped me explain in more detail the vision of the project. Algonkian offered me the opportunity to be part of a real writers group where my ideas and evolving characters were first introduced to other writers and potential readers. That critique allowed me to tweak my characters and storyline to perfection. Algonkian's approach in fine tuning my pitch helped me to tighten my manuscript as well. 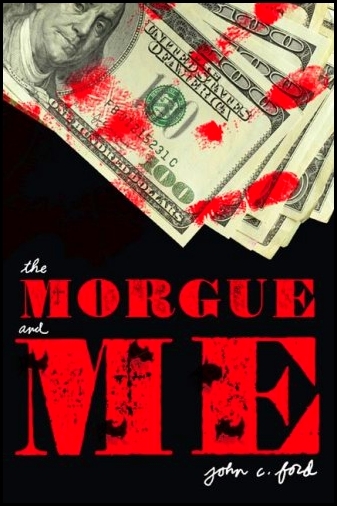 As a result, my manuscript sold to the very first publisher who saw it. My workshop leader at the New York Pitch Conference, Michael Neff, believed in me. 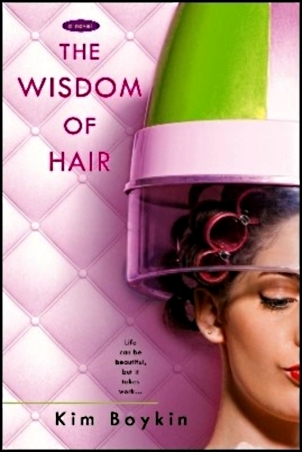 The careful advice, connections, and publishing savvy I received there made all the difference. Because of that conference, I was introduced to the woman who became my editor at Berkley Penguin, and later to the woman who became my agent. Agent Jill Grosjean requested to read my manuscript, ESCAPE TO LORELEI, one month ago. And today, I'm proud and excited to tell you that she is my agent ... Jill made a point of addressing the well written pitch and I was quick to mention the Algonkian event ... I'm grateful that I had the opportunity to participate in the NYC Pitch conference. What I learned from the experience was invaluable. The Algonkian Pitch Conference helped me constructively in channeling the information into a focused pitch, which I used successfully, and as a consequence, my novel, JERUSALEM MAIDEN, was published by HarperCollins! This conference helped me TREMENDOUSLY. Tremendously. 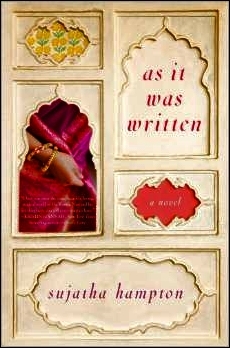 I changed the title of my manuscript after it was clear that our group didn't really care for it, and the title change helped me realize some of the book's themes; I was asked to submit my manuscript to an editor at Penguin (something I put on my query letters); and I tightened my query to the point where I was 90% successful in terms of agents asking for partials or fulls. I also met some good writers there. Three of the writers in the group I was in have made deals. I'm with Shaye Areheart; another writer is with Plume; another is with Knopf. Most effective for me was learning how to write (and rewrite) the pitch based on feedback from those in my group, and the editors. In the process, I really dug into the book - what it was about, what I was trying to say, what the strengths and weaknesses were - discovering elements of it that I hadn't noticed before. The New York Pitch Conference offered direct access to major publishing houses, great mentors, and a community of supportive writers ... 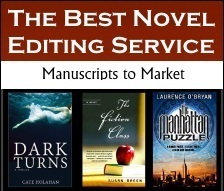 The intensive workshops force you to crystalize the appeal of your manuscript. That helps greatly in the pitch sessions, but also -- maybe more importantly -- in drafting query letters and in editing the novel itself. It's no coincidence that such a large proportion of our small group found publishing success. 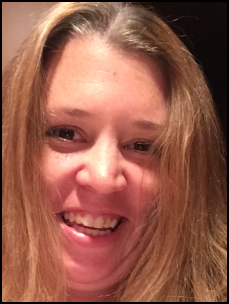 Viking published pitch conference novel (and Amazon Contest Placer), IN MALICE QUITE CLOSE, by Algonkian vet, Brandi Lynn Ryder. And she won't stop thanking us! Well, she will, but we're not sure when. 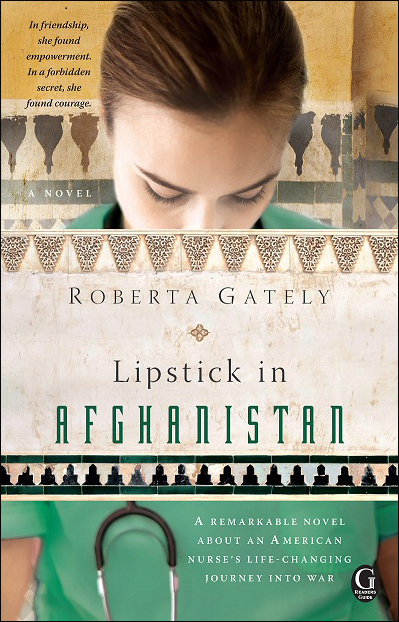 NYC Pitch/Algonkian veteran, Amy Satterfield, just had her novel, IS THAT ALL THERE IS PEGGY LEE?, picked up by literary agent Victoria Sanders. According to Amy, "Your conference gave me a sense of how to proceed, a really good pitch letter (it was the first thing Ms. Sanders commented on), and the confidence to go forward ..."
Berkley Books now informs us they have two books under contract from the NYC Pitch. The latest is an upscale fiction by by Katharine Britton (the title currently in flux). 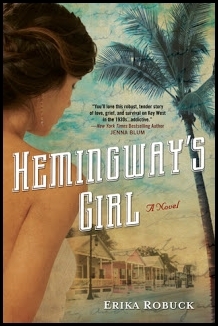 Thanks to agent Jennifer Unter for representing this fine novel to Jackie Cantor, Berkley editor. "A small misstep derails several lives ..." David Klein's debut novel, Stash, from Broadway Books by way of the New York Pitch Conference. Now available from Amazon. This kind of success is habit forming. Thanks to David for his kind words in the acknowledgements. Randy Meyer's new novel, Murderer's Daughters (once Adopting Adults), is now available from Amazon. Congrats to Randy and her editor Hilary Teeman. HUGE CONGRATS to the NYC Pitch! 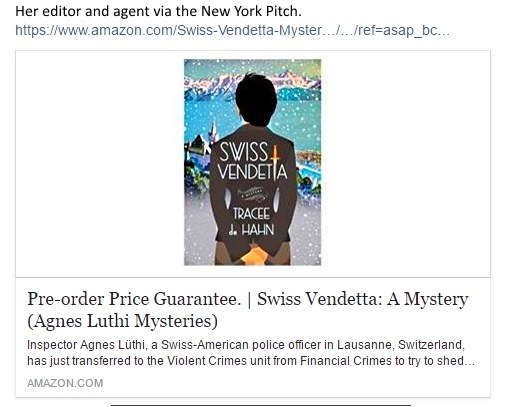 A flash from Loretta Marion, NYC alum, who has recently signed a contract with a major agent: "Agent Jill Grosjean requested to read my manuscript, ESCAPE TO LORELEI, one month ago. And today, I’m proud and excited to tell you that she is my agent ... Jill made a point of addressing the well written pitch and I was quick to mention the Algonkian event ... I’m grateful that I had the opportunity to participate in the NYC Pitch conference. What I learned from the experience is invaluable." In keeping with our mission to set writers on a realistic path to publication, the following writers attending Algonkian's NYC Pitch events have signed contracts with major publishing houses as a result of their attendance: Sujatha Hampton [EVERMORE - Thomas Dunne Books], Randy Susan Meyers [ADOPTING ADULTS - St. Martins], John Ford [THE MORGUE AND ME - Viking], Kate Gallison [THE EDGE OF RUIN - St. Martins], Christina Meldrum [MADAPPLE - Knopf], Will Lavendar [OBEDIENCE - Shaye Areheart], James Hayman [THE CUTTING - St. Martins], and Susan Breen [THE FICTION CLASS - Plume]. After honing her novel (WOLF IN THE ROAD) and pitch at Algonkian and the NYC, Jenny Milchman wrote and told us she is now represented by Elaine Markson agency. Congrats Jenny! After working with conference faculty, Amy Hanson signed with Atchity Entertainment in Los Angeles. They will represent her novel WHAT NORMAL LOOKS LIKE. Joan Baril and Susan Sands, veterans of the same workshop, have signed with the Larsen-Pomada Agency in San Francisco as a direct result of networking with Algonkian Conferences. Congrats! ... Futhermore, Rachel Willen, NYC Pitch attendee, has signed with Levine Greenburg Literary Agency while Amy E. Fischer has signed with Emily Kim of the Prospect Agency.